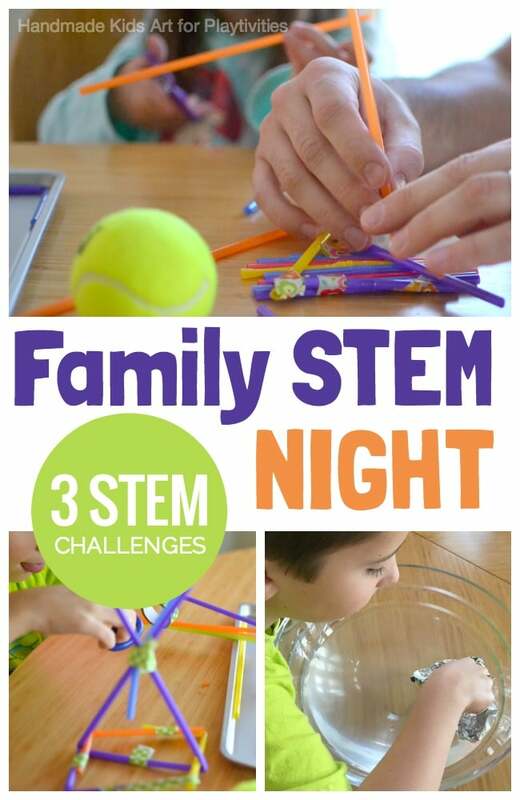 Put a new twist on family game night by hosting a STEM Challenges on family game night. Hi, I am Jamie from Handmade Kids Art. 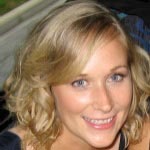 I help busy parents like you find time to raise creative kids through STEM, or what I like to call “STEAM” activities. STEAM is the combination of Science, Technology, Engineering, Art and Math. The inclusion of adding Art to the STEM core subjects is essential to encouraging your child’s creative and critical thinking. Many people think of STEAM (or STEM) activities to do at school, but they also are fun, engaging activities the whole family can participate in. Having a STEAM family night is budget friendly and requires minimal prep. You most likely already have most of the materials to get started. We divided into two teams, me and my 6 year old son versus my husband and our 4 year old daughter (the baby was sleeping). And like any family competition…it got competitive but in a family friendly way. Get started quickly with your own family STEAM night by following our tutorial below. Who can build the tallest sculpture? Who can build a boat that can hold the most pennies (weight)? Who can build the largest tower that can hold a tennis ball off the table? 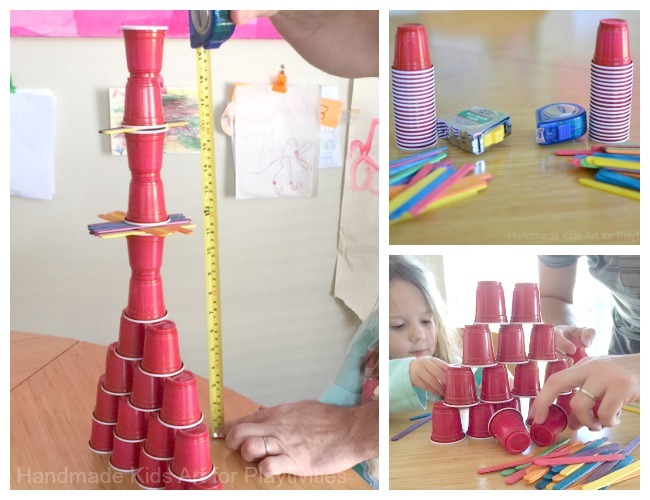 STEM Challenge #1 – Who Can Build the Tallest Cup Sculpture? Step 1: Lay out the materials for both teams. Step 3: Measure who can build the tallest structure. Activity Tips: We used mini-plastic cups which take up less work space. You may use regular plastic cups but you may want to work on the ground. You also may want to put a time limit to see who can build the tallest structure within a given time frame. STEAM Challenge #2 – Who can build a boat that can hold the most weight (pennies)? Step 1: Give every team the same size sheet of foil and build a boat. 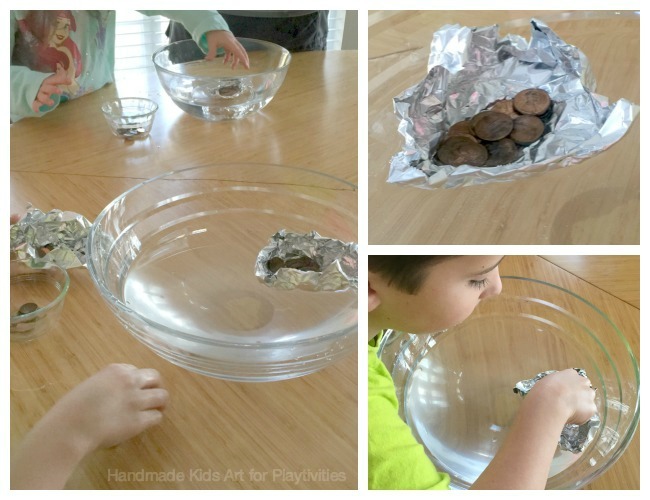 Step 2: Place the boat in the water and see which team’s boat can hold the most pennies. We repeated the process a few times allowing each team to redesign their boat to see if their boat can hold even more pennies! 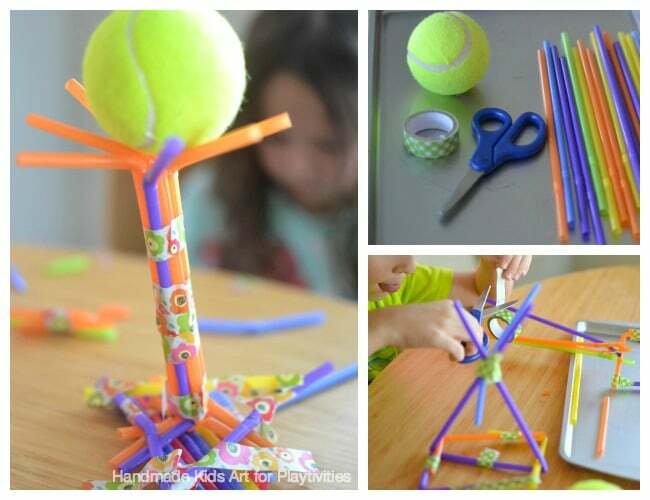 STEAM Challenge #3 – Who can build the tallest tower that can hold a tennis ball? Step 1: Give every team the same materials. Step 2: Build a tower that can hold a tennis ball. Set a time limit if needed. Activity Tip: We found this challenge to be the most difficult for our young designers. For older children I recommend the tennis ball, but if I were to do it again with my young children, I would try a lighter weight ball. 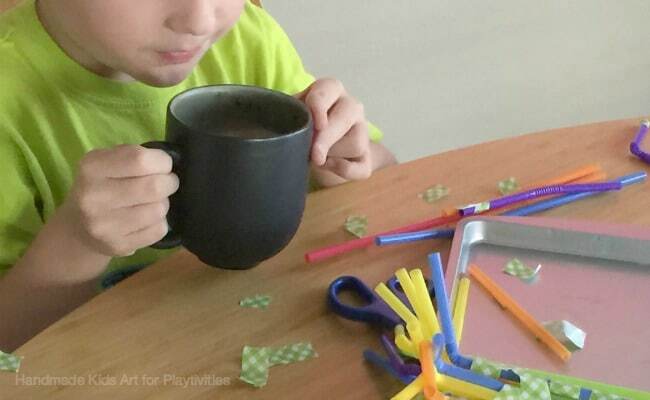 STEAM Family Activity Extension: Use the leftover materials from the challenges to design a family trophy for the team that won the most challenges. And of course, no family night is complete without a snack and hot chocolate after you are done. To view more STEAM activities you can do at home with your children be sure to sign-up and receive our free download, 3 STEAM Activities You Can Do Today with Your Young Thinker!